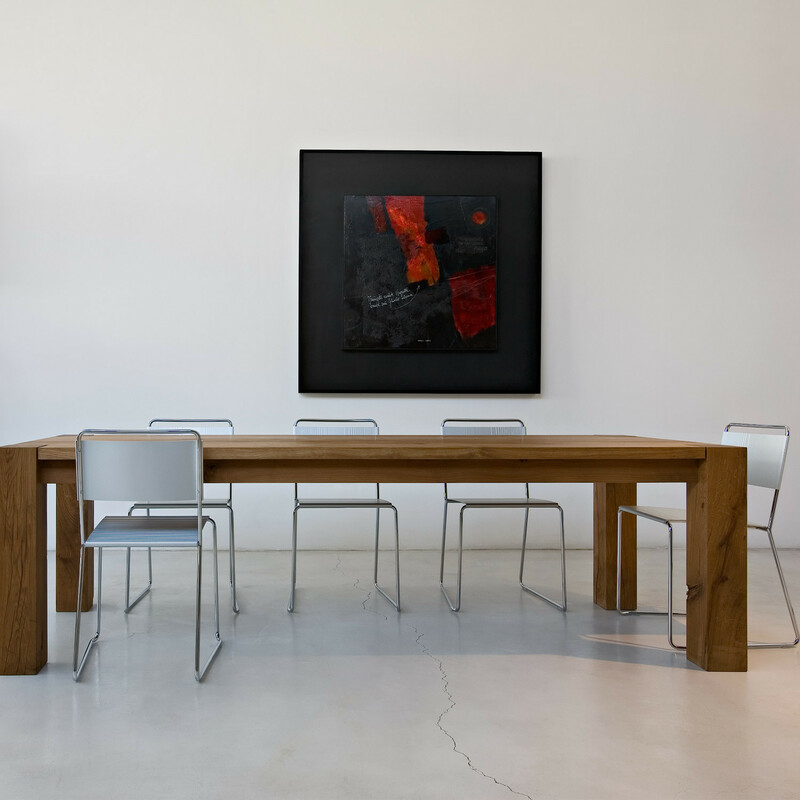 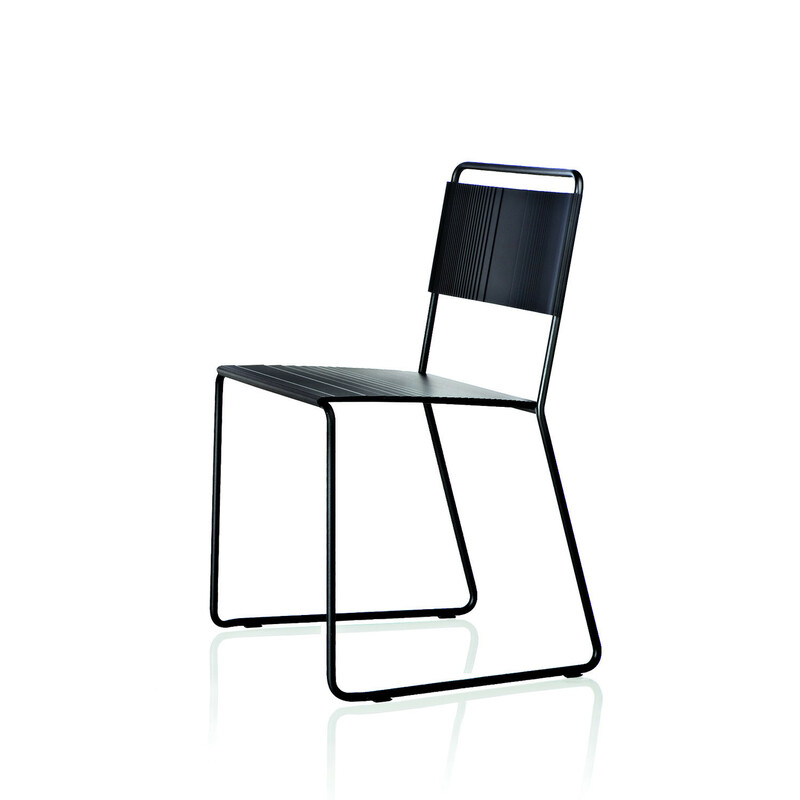 Estrosa Chairs, within this collection, are available in two different frames: four-leg or sledge. 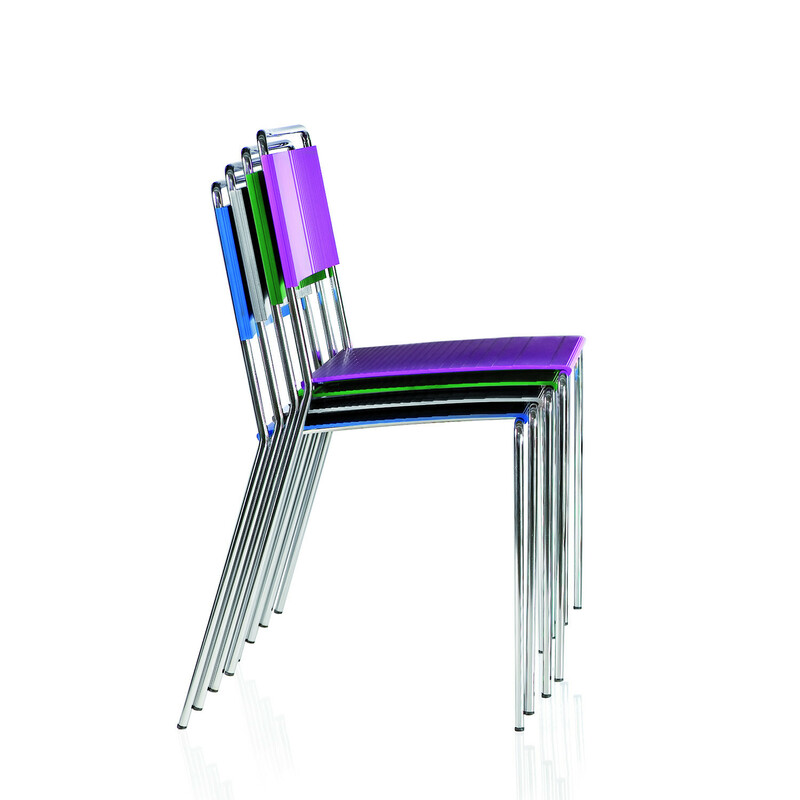 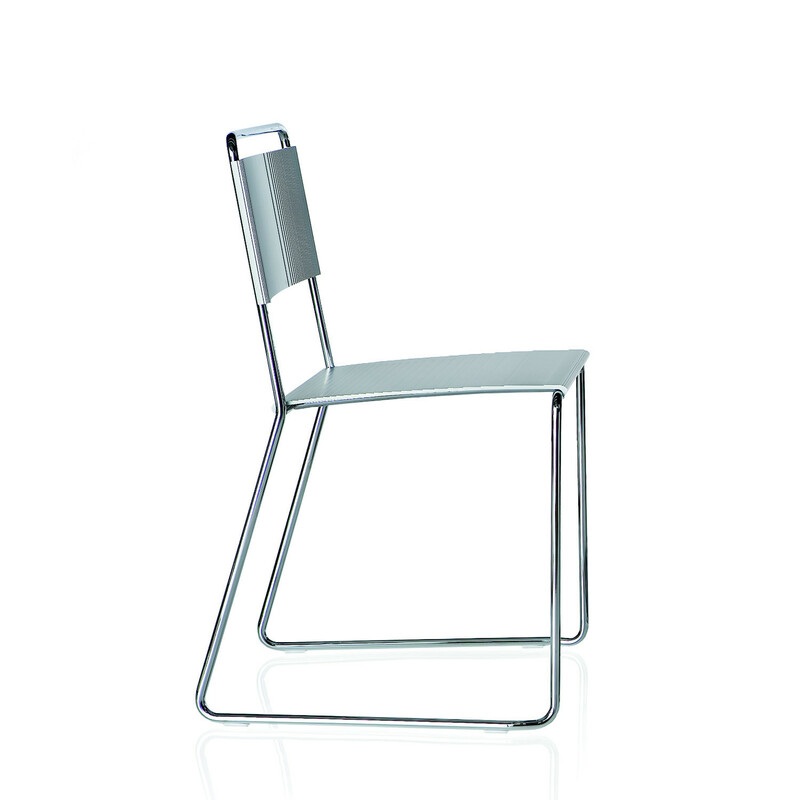 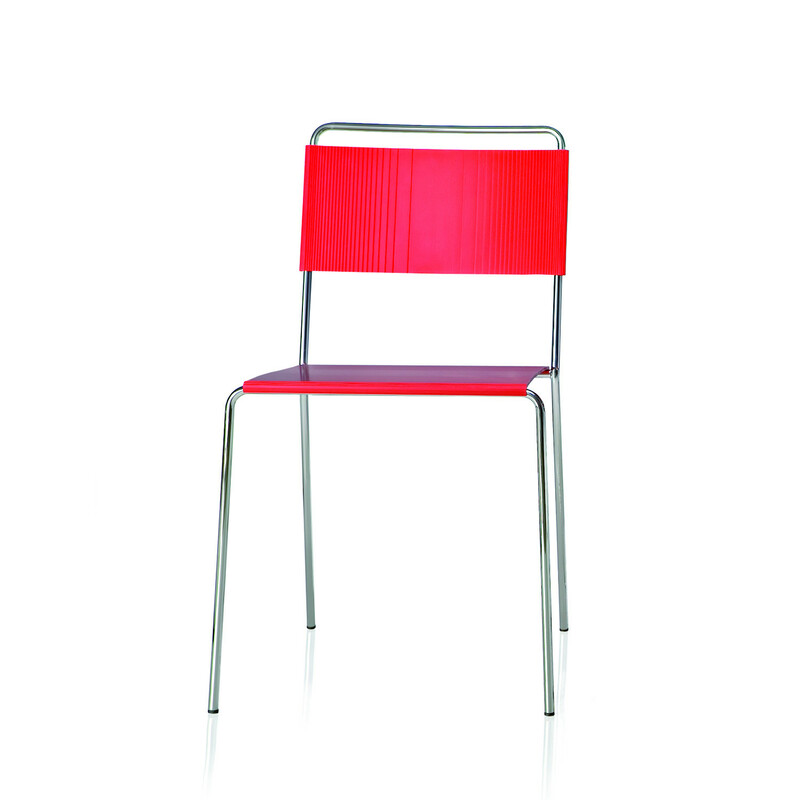 Both versions of the Estrosa Chair feature a steel stackable frame (finished in chrome, aluminium painting or black painting), and seat and back in aluminium extrusion. 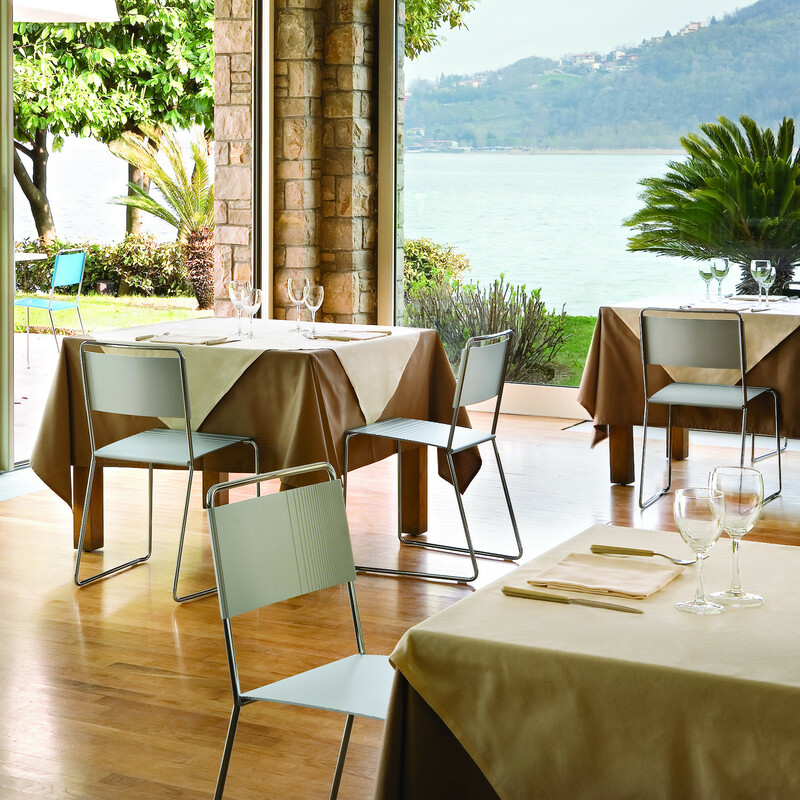 Characterised by its elegant yet informal design, Estrosa Chairs will perfectly fit within outdoor and indoor spaces of bars, restaurants, or breakout areas within the office environment. 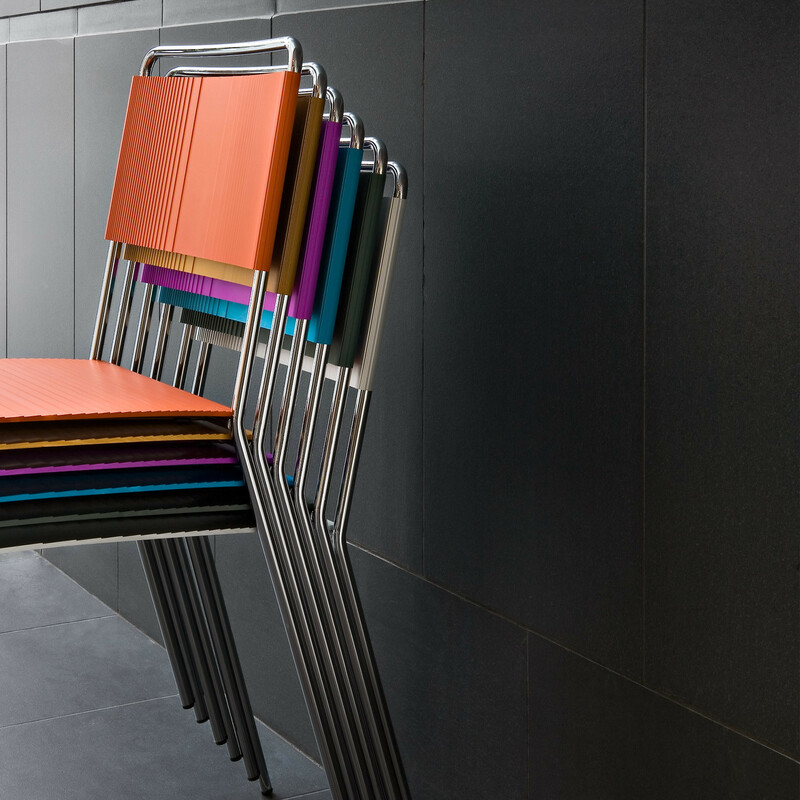 Estrosa Chairs can be stacked up to eight and a trolley is also available for easy storing. 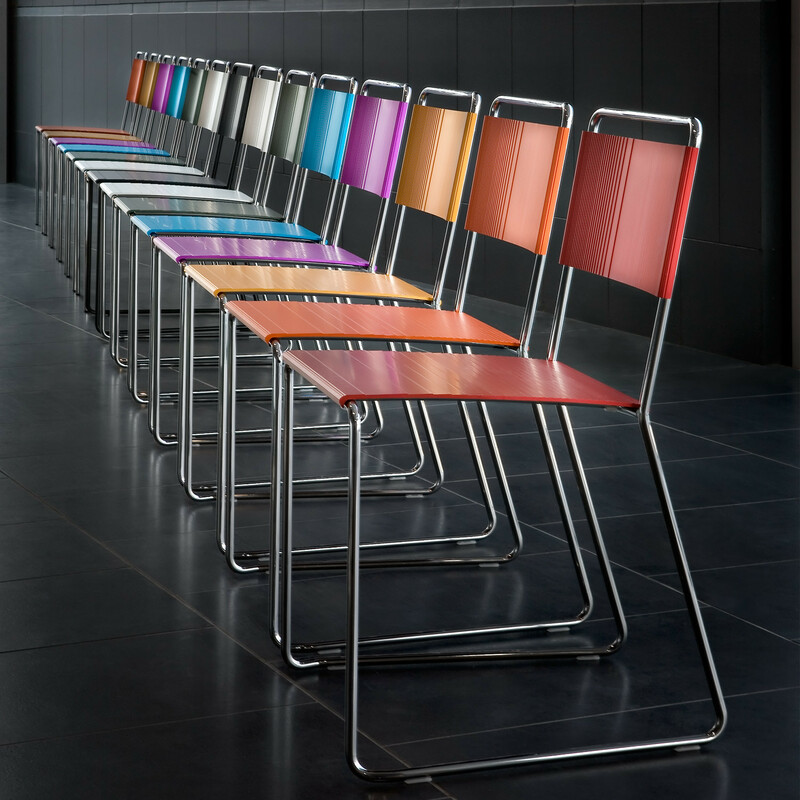 Available colours: black, grey, red, orange, yellow, green, violet, blue. 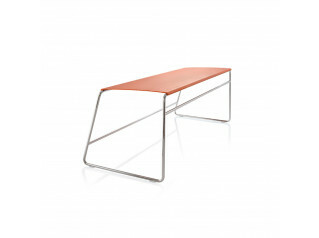 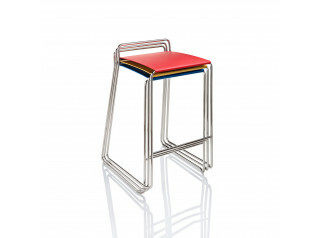 Estrosa Collection also comprises the Estrosa Bar Stool and the Estrosa Bench. 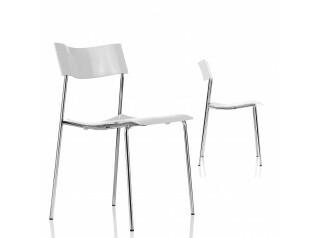 You are requesting a price for the "Estrosa Chairs"
To create a new project and add "Estrosa Chairs" to it please click the button below. 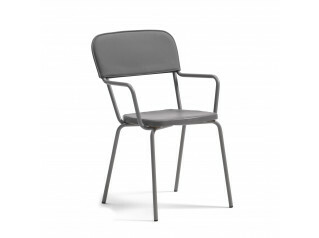 To add "Estrosa Chairs" to an existing project please select below.